James Lane’s condemnation of slavery as bad for whites, even if he saw it as good for blacks, brings us to the end of his platform. But, as I’ve mentioned before, the Big Springs Convention had other resolutions that it deliberately excluded from the platform. These came from the pen of Andrew Reeder, who R.G. 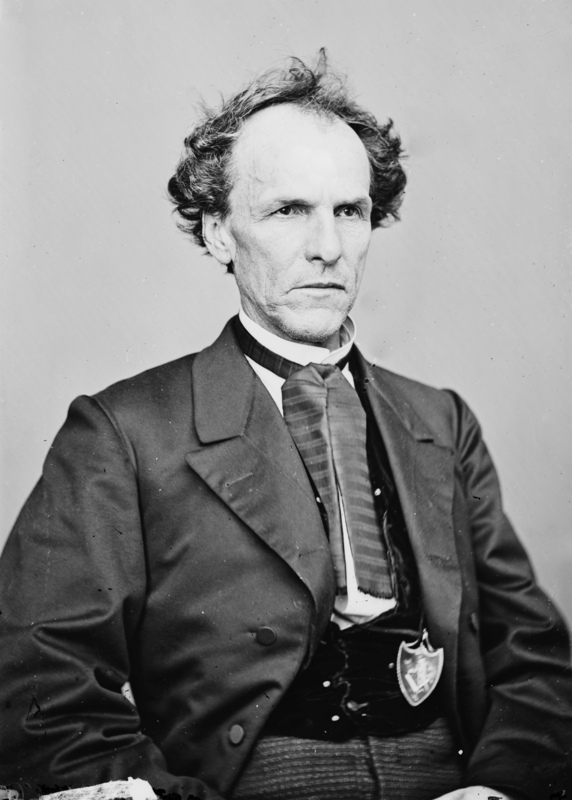 Elliott paints as eager to continue his disputes with Franklin Pierce and the Assembly of Kansas. Elliott characterizes these resolutions as “elements too dangerous to be inserted in the platform and too radical to be imposed upon the masses.” One should read the talk of imposition somewhat literally, as in the nineteenth century they very much expected that politicians would as a matter of course vote for measures endorsed in their party platform. Conservatives, Lane included, tried to turn Reeder’s resolutions into something less radical but a majority of members, incensed at the late slave code, backed Reeder all the way. the body of men who, for the last two months, have been passing laws for the people of our territory, moved, counseled, and dictated to by the demagogues of Missouri, are to us a foreign body, representing only the lawless invaders who elected them, and not the people of the territory; that we repudiate their action as the monstrous consummation of an act of violence, usurpation and fraud unparalleled in the history of the Union, and worthy only of men unfitted for the duties and regardless of the responsibilities of Republicans. having, by numerical inferiority and want of preparation, been compelled to succumb to the outrage and oppression of armed and organized bands of citizens of a neighboring state-having been robbed by force of the right of suffrage and self-government, and subjected to a foreign despotism, the more odious and infamous that it involves a violation of compacts with sister states more sacred than solemn treaties, we disown and disavow with scorn and indignation the contemptible and hypocritical mockery of a representative government into which this infamous despotism has been converted. Both resolutions have a stridency to them largely absent from Lane’s platform, but their radicalism so far seems to come more in matters of tone than content. Lane’s platform implicitly repudiated the bogus legislature, at his insistence and over Elliott’s objections. Reeder simply made that explicit. However, Elliott appears to have occupied a position well to the right of most of the delegates. We might better read his position as seeing the platform as radical to an acceptable, if regrettable, extent. The resolutions went beyond that into gratuitous radicalism. If this initial pair did not cross any lines, Reeder still has five more to go. Of course, Elliott also wrote this all decades later and expresses considerable remorse at the violence which came to Kansas after the convention. The Elliott of 1855 might not have thought things so far out of hand as the Elliott of 1902. He would hardly originate the art of regretting youthful choices in old age, nor that of retroactively placing himself further on the side his older self identified as that of the angels. Gentle Readers, I somehow convinced myself that I had written on this case. It turns out that I have not, as I learned via Twitter. Other bloggers have weighed in on the subject. I don’t feel that I have a great deal to add, but the issue is worth thinking about all the same. The relevant facts, as I see them, run as follows: Texas raises money, sometimes a great deal of it, by selling vanity license plates. You can get the numbers and letters you like, provided someone else hasn’t filed first. Private groups can further submit to the state designs in of their choosing and receive a cut of the revenue generated by them. 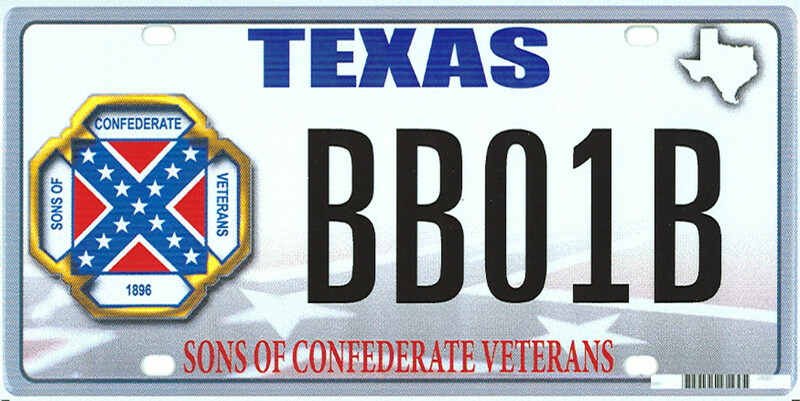 The Texas Sons of Confederate Veterans put forward their plate design and Texas refused it. The design bore, as one would expect, a Confederate flag. The SCV sued and the case reached the Supreme Court (PDF) this past week. My previous opinions on the use of Confederate flags still stand, but I think Texas’ case is very weak. The state, whatever formal apparatus it has set up to vet submissions for plates, has adopted a nigh-absolute lack of discretion in practice. As Andy Hall notes, you can get Texas plates in more than two hundred different brands, including those of universities from outside of Texas. That alone makes its refusals conspicuous and worthy of closer looks, even aside other issues. One might have a very unusual sort of submission with content problematic for other reasons. A plate including an explicit endorsement of violence against minorities would probably not pass muster. The SCV plate doesn’t do that. That said, having read Texas’ argument before the Court I think they do have a point that by putting a group’s advertisement on their license plate they have given it a form of state endorsement. The ad adorns an official state document. The state receives money from its issuance. It literally goes into business with the SCV, should it sell the plates. The state has an obvious and legitimate interest in controlling what messages go out, again literally, under its name. However, by what nineteenth century Americans might call its promiscuous issuing of plates, Texas has essentially yielded its ability to do so in the given forum. Otherwise, as the justices note in oral arguments, one creates a precedent where Texas could sell plates reading “Vote Republican” and refuse to issue “Vote Democratic”. It could put the same message on all its election materials, presumably down to the paper ballots themselves. Anybody would recognize that as obvious partisanship and, I hope, an improper use of state power for electoral advantage. The license plates, then, come down to one of those all or nothing positions where we either must affirm the rights of individuals to buy the plates and so participate in a relatively unregulated public forum which the state has created, or close up the forum. Texas, and other states, can close the door they opened. But if they do so, they must close it for everyone. One does not have a principle if one yields it to inconvenience. This inevitably means at times we find ourselves on the side of people or messages we find personally loathsome. Either one supports equal rights, or one doesn’t really support rights at all but rather particular privileges that accrue to oneself at the expense of others. That kind of hypocrisy never goes out of fashion and we will probably never purge ourselves of it entirely, but we have more options than perfection or perfect stagnation. We can manage better, even if we can’t reach best. This will give little consolation to people who have to look at the plates and know the history of the symbol, of course. I don’t mean to trivialize their objections, which I share. An official state plate does transgress good taste more than a private bumper sticker would, but I think both fall under the exercise of free speech. our true interests, socially, morally, and pecuniary, require that Kansas should be a free state; that free labor will best promote the happiness, the rapid population, the prosperity and wealth off our people; that slave labor is a curse to the master and the community, if not to the slave; that our country is unsuited to it; and that we will devote our energies as a party to exclude the institution and to secure for Kansas the constitution of a free state. While Lane does make a moral condemnation of slavery, he specifically calls it a scourge upon only the master and the white community. It might, in fact, work out very well for the slaves. Maybe they need that kind of management and cannot prosper without it. This echoes proslavery writers who preached the virtues that slavery taught to the enslaved. They learned true white religion and true white civilization under the master’s lash. If that took a few stripes, then so it goes. Not blessed with the faculties granted to those who wisely chose white skin at their births, the slave required harsher tutelage. Even that would never make a slave into the equal of a white man, but slaves would realize a vast improvement all the same. That the slaves disagreed and resisted with slow work, broken tools, deliberately misunderstood instructions, by stealing themselves, and on occasion by outright violence did not enter into it. They just didn’t want to take their medicine. Resistance to brutality thus legitimated further brutality. But Lane’s brief critique does have an element of truth to it. This comes not in the claims about Kansas’ suitability to slavery, as adjacent Missouri did just fine, nor in slavery’s economic backwardness. While generations of historians took that for granted, more recent studies have shown that slavery remained a tremendous fountain of stolen wealth for its practitioners. Consider instead the effect of habitual brutality upon other people. Every whipped slave requires a hand on the lash. If you see a person whipped for disobedience every day, if terrorizing people into compliance forms part of your daily experience, to some degree you internalize these things. As social animals, we pick up our norms from watching others. You get used to it. To minimize the stress of seeing it, you find ways to dull your natural empathy. You make excuses. You decide that you can’t do anything. We do not have it in us to begin the world anew. Participating yourself simply makes it imperative that you convince yourself of the necessity, even righteousness, of the violence much faster. In a slave society, one grows up around this. The model of authority one imbibes must incorporate, to some degree, the use of brutal violence to secure compliance and demonstrate dominance. Not everybody will yield to these social pressure, but most people will. If they did not, a slave society could never develop in the first place. By learning how to manage slaves with violence and terror, one adopts a model that knows no color line. Violence against slaves receives its rationalization in necessity. They just have to learn that way, or horrors ensue. With that belief internalized what stops a person from applying the same methods to a white body that presents a challenge to slavery and so invokes the same potential horrors? Nobody proposed selling Charles Robinson’s children, but his invocation of the slavery of whites has a grain of truth in it. Means of social control developed to preserve slavery would inevitably see use against whites who threatened the institution. They already had. When Robert S. Kelley came calling on Pardee Butler, he wanted Butler to endorse the whipping of a white man who questioned slavery. 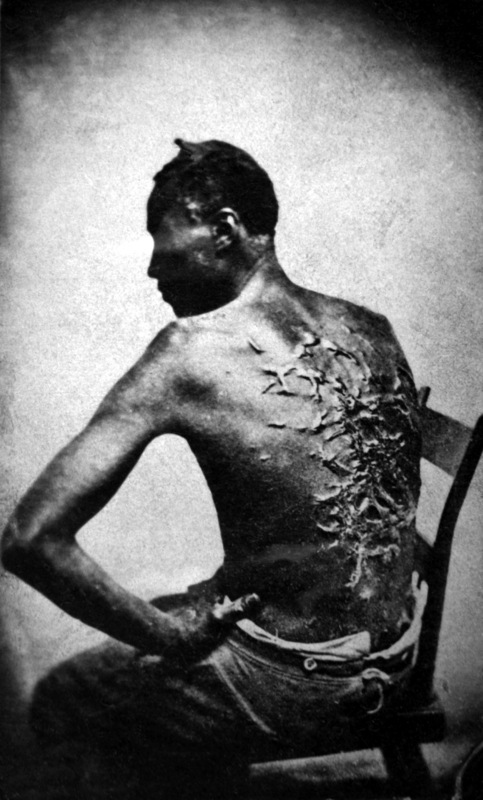 That level of abuse paled in comparison to what slaves endured daily, but it did pose a real threat to white Kansans. Any one of them gathered might become as the next Butler, or worse. we will oppose and resist all non-resident voters at our polls, whether from Missouri or elsewhere, as a gross violation of our rights and a virtual disfranchisement of our citizens. Lane’s condemnation could include new voters brought in by the Emigrant Aid Society, some of whom had come with intent to stay but then found Kansas not the promised land of milk and honey. In leaving, they retroactively made themselves into a kind of antislavery filibuster. But then one could only know that in after the fact, whereas the Missourians had made it clear from the start that most of them had no intention of remaining within Kansas. The language of resistance should naturally be read in light of the violent seizure of past polls, but free soil resistance had heretofore confined itself to the field of rhetoric. If necessary, Lane’s resolution could expand that resistance to include military companies such as the one that Samuel Wood led and had featured into the Lawrence Fourth of July festivities. They had their rights as white American men to protect. The the best interests of Kansas require a population of free white man, and that in the state organization we are in favor of stringent laws excluding all negroes, bond or free, from the territory. That nevertheless such measures shall not be regarded as a test of party orthodoxy. I know I’ve talked about this provision before, but Lane wrote it into the platform. However, the final sentence gave some leeway to the less committed racists. Men like George W. Brown could condemn the resolution and remain members in good standing of the party, despite its including in the platform and the generally mandatory nature of such affirmations. I don’t have the sources to say this with confidence, but the measure reads like one that came originally without the proviso and received it in the course of deliberations. we will consent to any fair and reasonable provision in regard to the slaves already in the territory, which shall protect the masters against injustice and total loss. In short, the free state party would consider some form of compensated, gradual emancipation as had been undertaken in the northern states between the 1780s and 1804. Thus Kansas’ resident slaveholders need not fear for their investment in lives. If they wished to remain, they could recoup at least some of their capital. Or they could take the far easier route and sell their human property across the line in Missouri. Many northern slaveholders had opted for that strategy as days of emancipation drew near, even in defiance of laws to the contrary. The Big Springs Convention decided on nominating Andrew Reeder for delegate to Congress. They, despite initial reluctance on the part of some, signed themselves up for the Lawrence radicals’ plan to create their own government. They nigh-unanimously committed themselves to keeping black Americans out of Kansas. But a nineteenth century mass meeting had to have its resolutions. The resolutions on the platform, the work of James Lane’s committee, constituted a proper manifesto which the convention-goers considered binding on the party as a whole. Other resolutions, reported out of a separate committee and authored by Andrew Reeder, came as the price of involving Reeder in the movement and, the convention hoped, readers would understand them as more polemic than policy. R.G. Elliott further adds that Reeder intended those resolutions as a way for him to defend himself against the various attacks on his land speculations and disputes with the legislature. setting aside all the minor issues of partizan politics, it is incumbent upon us to proffer an organization calculated to recover out dearest rights, and into which Democrats and Whigs, native and naturalized citizens, may freely enter without any sacrifice of their respective political creeds, but without forcing them as a test upon others. the stale and ridiculous charge of abolitionism, so industriously imputed to the free-state party, and so pertinaciously adhered to, in spite of all the evidence to the contrary, is without a shadow of truth to support it; and that it is not more apparent to ourselves than it is to our opponents, who use it as a term of reproach to bring odium upon us, pretending to believe in its truth and hoping to frighten from our ranks the weak and timid, who are more willing to desert their principles than they are to stand up under persecution and abuse with a consciousness of right. we will discountenance and denounce any attempt to encroach upon the constitutional rights of the people of any state, or to interfere with their slaves, conceding to their citizens the right to regulate their own institutions and to hold and recover their slaves, without any molestation or obstruction from the people of Kansas. Few abolitionists ever proposed to raid into the South and steal slaves away to freedom, but probably none would have happily committed themselves to permitting the recovery of slaves who stole themselves from free soil. While they surely inflated their exploits after the war rendered them the heroes of the day, plenty considered it a point of honor to help runaways who made it to their doorsteps. Here they agreed, at least for the moment, to abide by even the odious Fugitive Slave Act. R.G. Elliott related his work and the power of James Lane’s spellbinding oratory at the Big Springs Convention, the latter of which overturning the former. Thus the free state party of Kansas had committed themselves to excluding black Americans from their future state and to developing an alternative government which would strike at once for statehood. But parties need platforms to organize around. They had a black code and a general opposition to slavery, but two planks do not a platform make. Furthermore, the antislavery position would complicate their efforts to gain recognition in Washington. They could hardly deny the position, but to win over more indifferent northerners who they would surely need they would do better to minimize it and focus their rhetoric around the abuse of white liberties. Elliott reports that the committee on resolutions split in two branches. James Lane chaired the one charged with developing “a broad and substantial platform”. The other would “furnish explosives and projectiles for a defiant pyrotechnic display-elements too dangerous to be inserted in the platform and too radical to be imposed upon the masses.” These groups seem at cross-purposes, but Elliott has an explanation for the business: Andrew Reeder insisted. On the 30th of August Reeder was stopping at the American Hotel, in Kansas City, with his trunk packed in readiness to depart to his home in Pennsylvania, when Parrott also stopped there, on his way to a Democratic conference at Tecumseh. Reeder had expressed his indignation in a set of resolutions which he showed to Parrott, intimating his purpose of attending the convention at Big Springs and taking a parting shot at the legislature. So borrowing a valise from Colonel Eldridge, he set out for Lawrence, where an arrangement was made to handle his explosive by a select committee, so as not to encumber the platform. The resistant features of the resolutions were vainly sought to be modified in the convention by Parrott, Lane, and other conservatives, but the utterly atrocious features of the slave code, just recently made public, had worked the popular mind up to such a pitch that no language was too strong to express their indignation, and the resolutions were adopted with a defiant shout. Here, as before, the proslavery men in their excesses radicalized their opposition. A moderate Kansan might dismiss some violence, however much it horrifies us, as something that a troublemaker had coming. We see that behavior often enough today. The laws that the bogus legislature chose to pass, however, bound all Kansans alike. Few considered their mere residence in the territory as sufficient cause for such measures. Elliot went on to complain that the proslavery party then drew no distinction between the free staters’ binding platform and the Reeder-authored incendiaries. I confess wondering just who would. Both came through the same convention, with the votes of the same hundred men in their favor. The difference between them might have mattered to free state coalition-builders, but the convention asked Kansans of all stripes to vote for Reeder and so his personal vindication became at least an ex officio binding concern on them all. Furthermore, Reeder’s dismissal on grounds notionally unrelated to slavery made him the ideal totem for their appeal to the sanctity of white liberty. Here they had a martyr of the Slave Power, endorsed by the national Democracy not that long ago and untainted by sympathy with black Americans. Reeder perfectly fit the movement’s political needs. The free state party agreed, ninety-nine to one, that they should permit no black people in Kansas. They agreed to nominate Andrew Reeder to represent them in Washington. But the Big Springs convention drew together a heterodox group of Kansans, not all of whom had gone off to Lawrence twice in the past to condemn the enslavement of white Kansans. 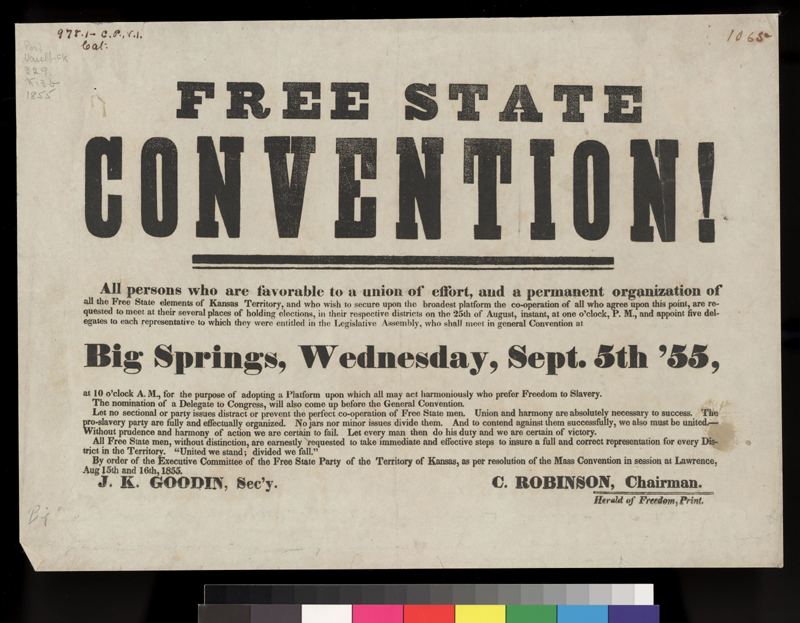 The idea hatched at the last Lawrence convention of forming a rival government and striking for statehood came before a committee at Big Springs headed by Lawrence resident R.G. Elliott. The convention’s chairman, Judge George W. Smith, and its resident political chameleon James Lane, expected that their friend Elliott would report out a recommendation along those lines. Elliott, who could count maybe twenty delegates at Big Springs who favored the measure, declined to do his friends that favor. Instead his committee reported the “untimely and inexpedient” nature of the proposal. rising to the occasion, under a shadow of threatened defeat, he gave an exhibition of that magic faculty by which he controlled primitive assemblages, convincing them against their judgment and bending them against their will. It was not measured oratory nor logical argument, nor was it an emotional harangue, but the blending of an accompaniment toned to the popular chord, with a dramatic presentation of the subject that materialized as a moving, tangible reality. His ideal was a state, not antagonistic, but harmonizing, rising legitimately out of the popular-sovereignty clause of the organic act; the rightful heir to sovereignty, with the territorial organization as regent. 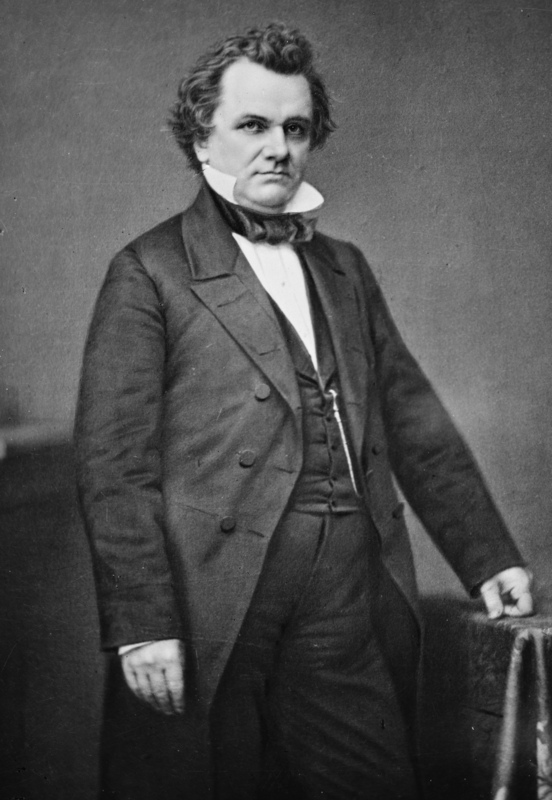 Lane further suggested that Stephen Douglas “anxiously” awaited word of their exploits and Franklin Pierce stood “ready to sacrifice his right arm” to sustain them, correct his past errors, and save the Democracy. These declarations have much more to do with Lane’s ambitions than any reality, but Elliott casts Lane as working actively to make himself the leader of a moderate faction separate from the Lawrence group. This fits well with reports of his behavior at the late Lawrence convention. By invoking the national Democracy and insisting he had its favor, Lane positioned himself as a national man rather than a sectional slavery or antislavery enthusiast. He could then use his middle position to mainstream those positions of the Lawrence radicals he favored among the more western contingent, while likewise using the westerners against those Lawrence-born ideas he opposed. In the long term, a record for that could go far in making him acceptable to the former proslavery party of a united Kansas. To hear Elliott tell it, Lane converted the majority to the free state movement then and there. He generally paints Lane as the hero of the day, even while expressing his regrets over how things fell out. It may have happened that way, but I suspect that one speech convinces few people of much of anything. It seems more likely that Elliott at least slightly overestimated opposition to the statehood plan, that more at Big Springs stood uncommitted but open to convincing, and that the other speakers exerted a significant influence as well. Leaders can and do make a difference, but in the real world they rarely have such powers as to convert committed foes to their cause with a single speech. But however it happened, the convention agreed with Lane and set aside Elliott’s report, deciding instead that the free state government and statehood proposal came both timely and expedient. The free state men must unite or face continued defeat. Thus they convened at Big Springs with that aim in mind above all others. The practical necessity of unity led George W. Brown and others to accept resolutions, favored by an overwhelming majority of the convention’s delegates, to write a ban on the entry of black Americans into Kansas despite their personal reservations. But if they resolved that difference with some ease, given the scarcity of racially progressive free state men, then another raised more serious questions about their unity. What should the free state movement do next? All agreed on a party and on nominating Andrew Reeder for delegate to Congress, but not everybody rushed to sign on for the Lawrence radicals’ plan to create a rival government. The convention appointed a committee to review that proposal and generate recommendations. Here George Brown’s bad shoulder does not leave us with a lacuna in the sources. The chairman of that committee, R.G. Elliott, wrote down his recollections in a paper he read to a meeting in Lawrence in 1902. I found it in Transactions of the Kansas State Historical Society, Volume 8. Among the many reasons for the committee’s judgment, the most cogent was the want of popular support, the sole foundation for a political organization. Among the more than 100 delegates, not one could be found who favored the proposition, except those, less than a score, who had been initiated into the movement at Lawrence. It was with a feeling of deep regret that both Judge Smith and Colonel Lane heard the adverse report. Both, relying on an intimate friendship with the chairman of the committee, had been confident of the approval of the measure. Lane, late of black exclusion law fame, requires no introduction but I confess that I don’t think I’ve heard of Smith before. According to Charles Clark’s directory of free state men, Smith shared leadership duties in the early free state movement. He remains obscure in my sources: Etcheson’s Bleeding Kansas: Contested Liberty in the Civil War Era mentions him only as a free state man imprisoned and then sent East on his release to publicize the plight of antislavery Kansans. He does not appear in Rawley’s account of the convention in Race and Politics, nor Nichols’ Bleeding Kansas. I mention this because it seems I’ve made an error. I did not read the fine print on the bill accompanying this series of posts well enough. It lists Charles Robinson as chairman and I mistakenly read that as calling him chairman of the Big Springs Convention, rather than of the free state committee at Lawrence. The error came to my attention in reading what Clark had to say about Smith, who actually served in that role. The biographical sketch Clark cites, in volume ten of Transactions of the Kansas State Historical Society, makes that clear. I messed up. Sorry. We left the Big Springs Convention on a decidedly low note: ninety-nine votes to one approval of a constitutional ban on allowing black Americans into their free state of Kansas. 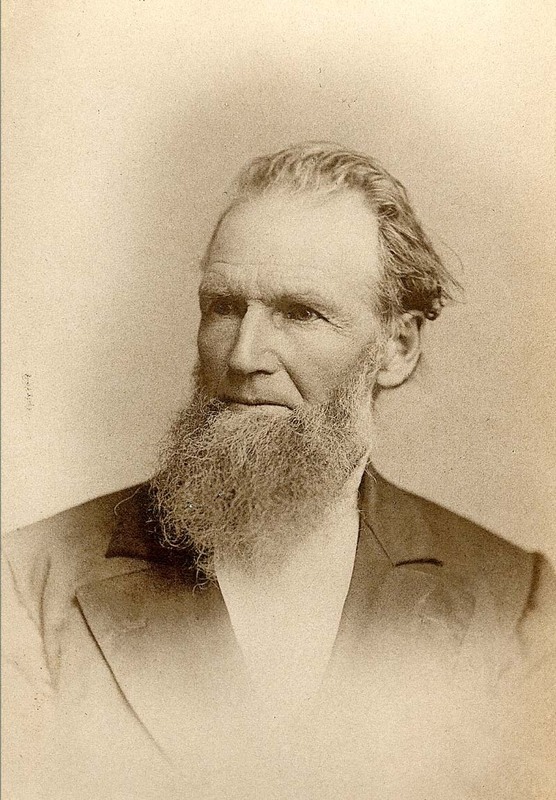 George W. Brown spent a long paragraph condemning the measure, but he knew all too well that such laws had passed in other western states. He opposed them when back East, but in the end accepted that he and others could only expect so much from an antislavery movement chiefly concerned with the peculiar institution’s negative effect upon whites. In that he made the same calculation that many had, including a homely failed politician who had taken pains to never set himself openly against the racism of his fellow Illinoisans. A determination was apparent with every delegate to the convention that the Free State party should unite. Division, it was evident, was defeat. A united front was victory. The result of that day’s procedure will be felt for ages. – The union and harmony which finally characterized the proceedings will give to the American galaxy another star, which will ultimately be the brightest in the constellation-one which will not be dimmed in the least by the foul stain of slavery. Principles can get in the way of successful politics, even if one hopes that the desire to do politics flows from the principles. While Brown could only hope that unity would bring victory, he didn’t need to speculate as to what the proslavery party would do if faced only by divided, ineffective opposition. He could just look outside. Building an alternative politics for Kansas required a candidates to run for office just as much as it did resolutions, platforms, and conventions. The thirty-third Congress had ended its term back in March. The thirty-fourth would convene starting in December. That meant Kansas would have to elect a new delegate. For that job, the free state movement had in mind their first martyr of national standing: Andrew Reeder. 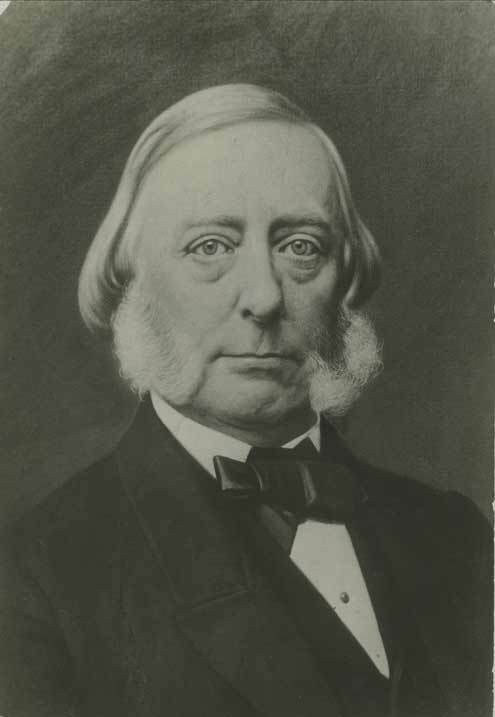 When the nomination was made by acclamation it seemed as if the heavens were vocal with applause; and Governor Reeder’s appearance on the stand, in answer to the long and repeated calls, was received with the most boisterous shouts of satisfaction. Had a General returned in triumph from the battle-field, bearing the trophies of a thousand victories, he could not have been greeted with a more hearty welcome than was extended to him on this occasion. We expressed a wish that Frank Pierce could have looked out upon that collection of “squatter sovereigns,” and seen the man he had attempted to put down, and the manner the PEOPLE were disposed to take him up. Frank Pierce, with the nation at his heels, was never as popular or so deeply enshrined in the affections of the people, as is our own late Chief Magistrate, in the hearts of the American people. The Free State Party had its convention, yet again, but now it also had a candidate to rally around. But they had still more divisions to resolve before they concluded their work that September day. Delegates were there from every district, save the 16th, and a finer body of men are seldom seen together. The only fault we could find, there was too much talent among them, else too many persons who wished to distinguish themselves. They came together from all sections of the Union. It was but natural, therefore, that there should be a minor difference of opinion upon minor questions, and that those divisions should engender discussion. That surplus of talent did not, however, include an ability to record the speeches given. Brown apologizes for this. He had something wrong with his shoulder and so couldn’t hold a pen. The people from New York, New England, and some from Pennsylvania and Ohio, were in favor of a State Constitution which should be silent upon the subject of a “black law,” whilst those from the Western States, very generally, were in favor of ingrafting the exclusion policy into the State Constitution. The committee, who labored long and arduously upon the question, finally agreed, with one dissenting voice, and made their report. James Lane reported out that platform. Out of a hundred delegates, only one voted against adopting a state constitution that forbade black Americans from living in Kansas. This likely represented the true consensus of free soil Kansans at the time. However much we might like to imagine them as modern racial egalitarians, such men did not carry the day. Rather the David Wilmots of Kansas, and those willing to compromise with them, did. The proposed law makes sense from a strictly antislavery perspective. Concerned more with the wrongs slavery did to and the power it granted over whites than to its primary victims, one would want to keep it from Kansas. What better way to keep the land free from it than to forbid the presence of the race enslavers chose for their victims? This logic at best only follows from a callous, if common, indifference to the lives of black Americans. Furthermore, it comes informed by something rather more malign still: the firm conviction that black Americans had and deserved no rightful place on the continent. On these grounds, proslavery men often hurled charges of hypocrisy at their foes. The pretend humanitarians, so the argument went, so hated black people that they wished them gone. Gentle patriarchs, however, loved them and wished to keep them close. For ourself, we take this occasion to remark that the platform does not meet with our hearty approbation. We are opposed from principle to “every form of tyranny,” it matters not to which of the races it is extended-over the body and mind of man.” While resident of Ohio, we labored constantly to secure the repeal of what appeared to us an odious law-a law similar, in many respects, to that desired for Kansas. In Pennsylvania we rejoiced when our neighbors of Ohio triumphed with the right, in erasing those oppressive enactments from their statute books. I don’t know if Brown ever approved of making black men voters, but he clearly didn’t care much for the idea of preventing them from becoming Kansans.